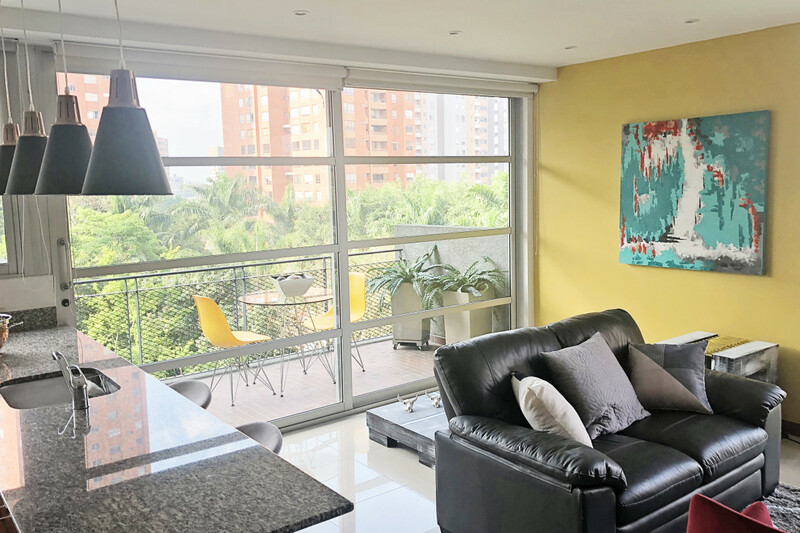 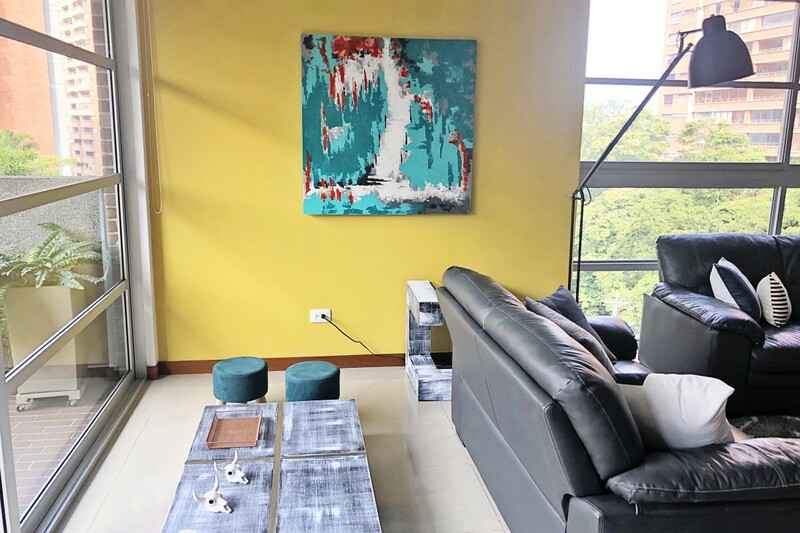 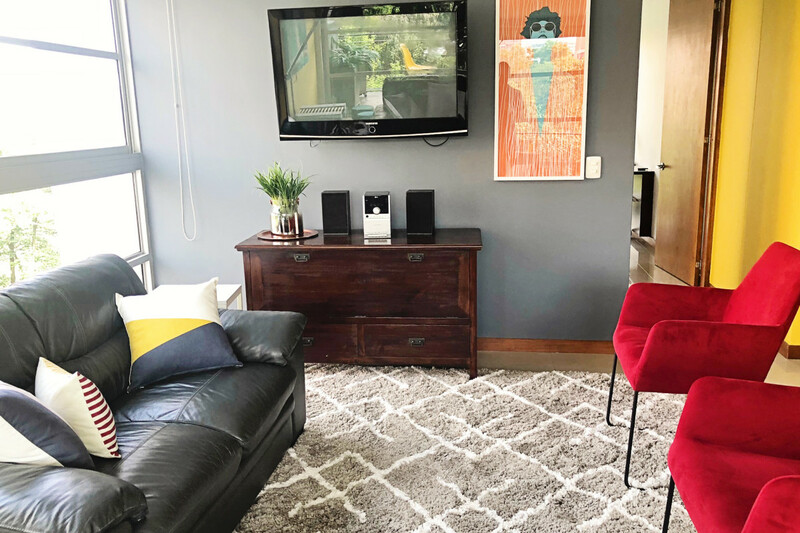 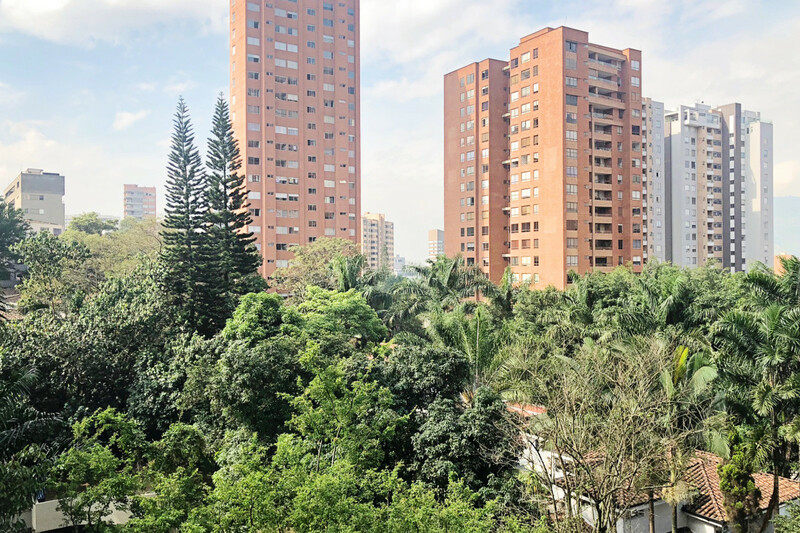 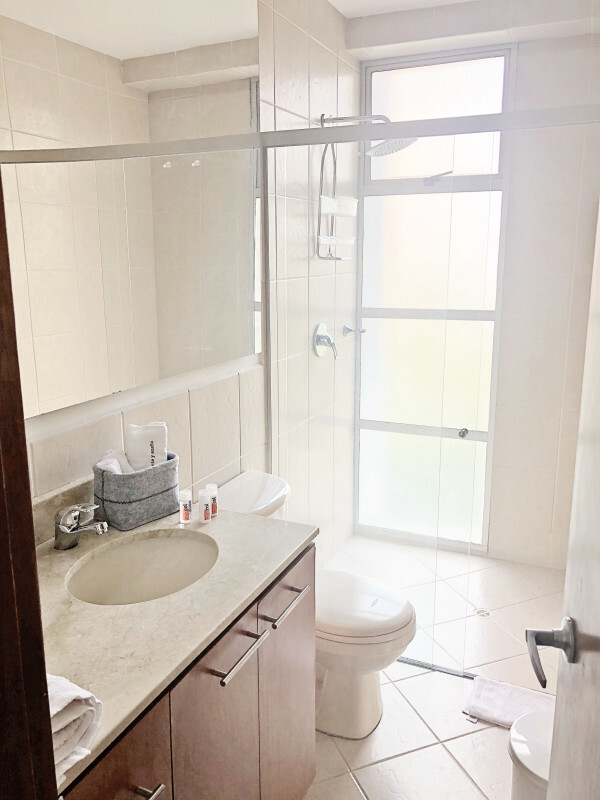 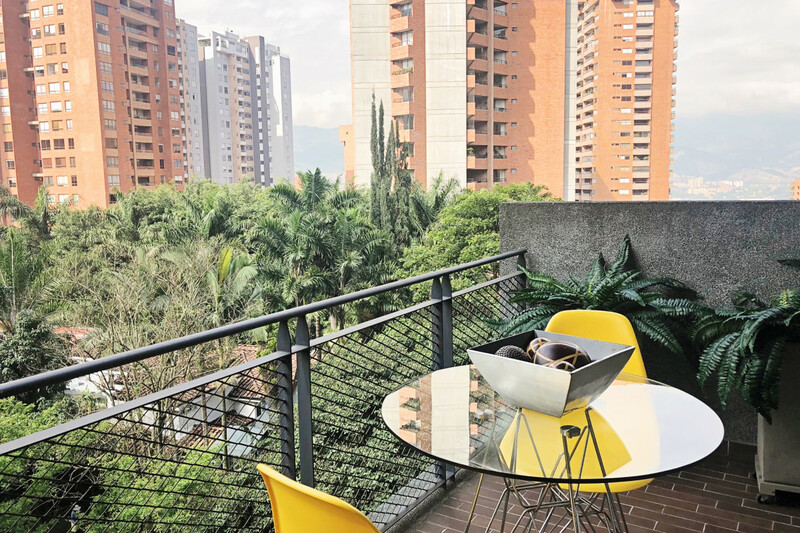 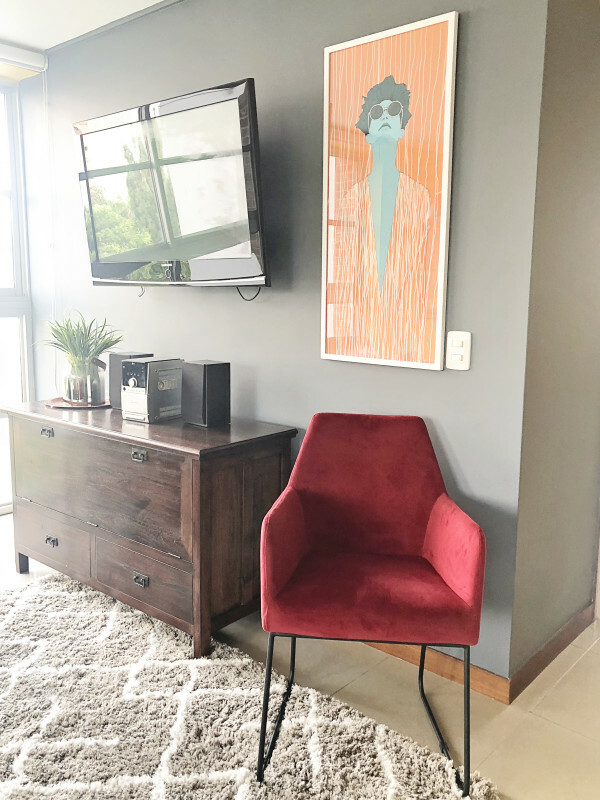 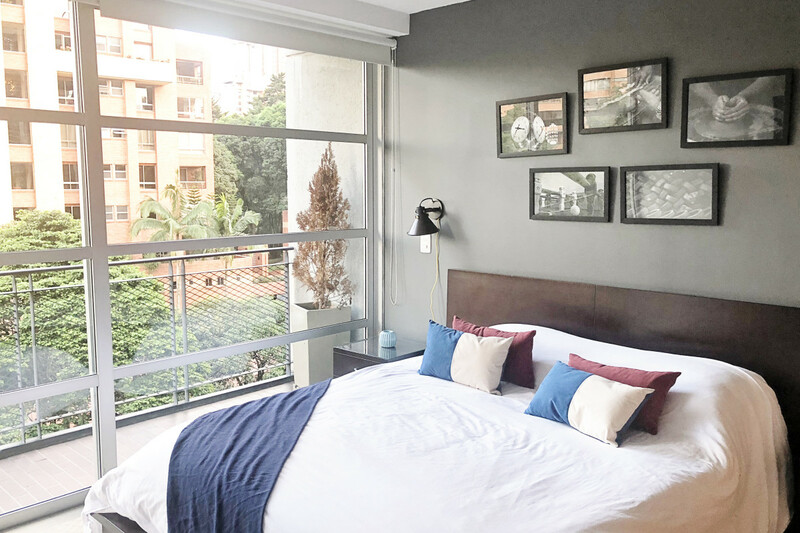 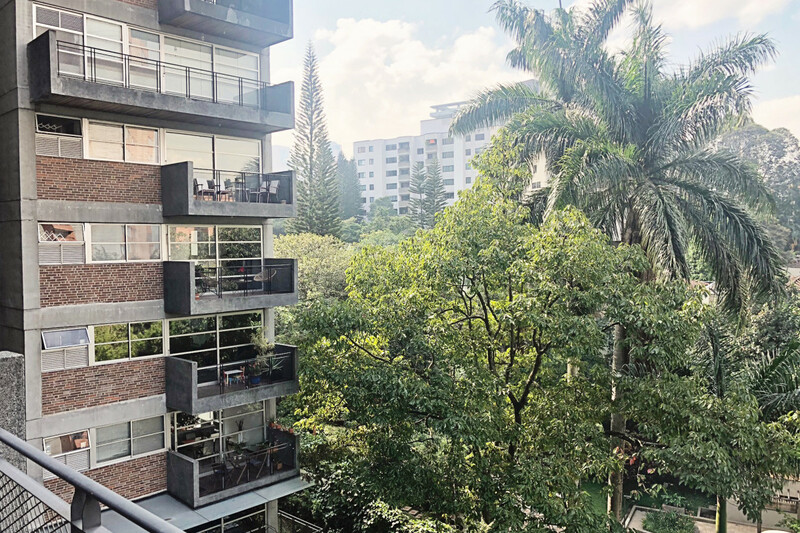 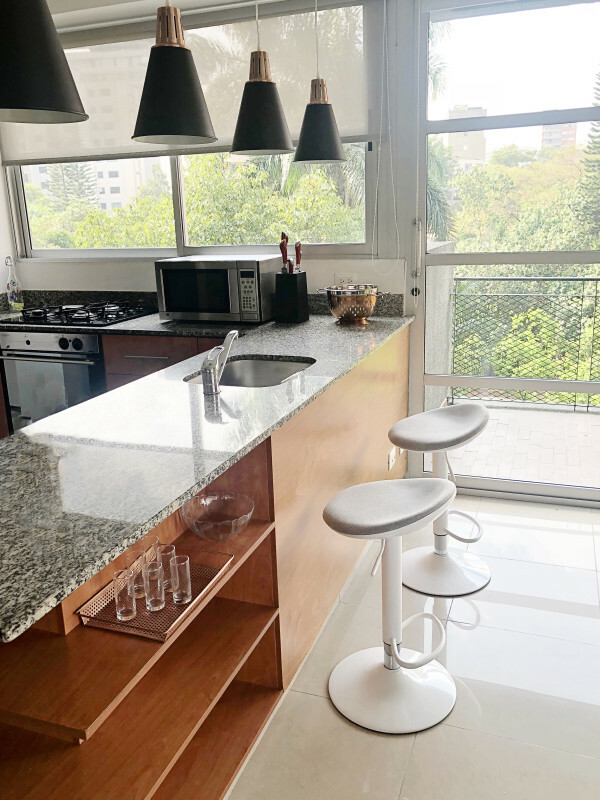 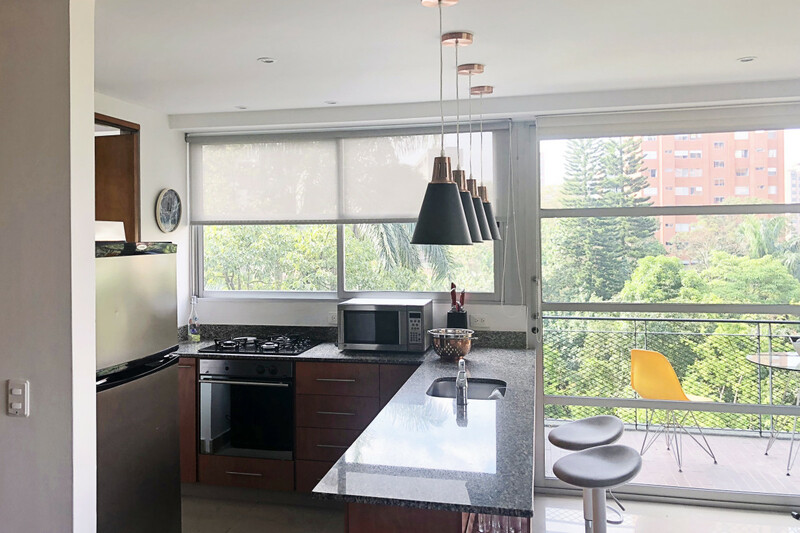 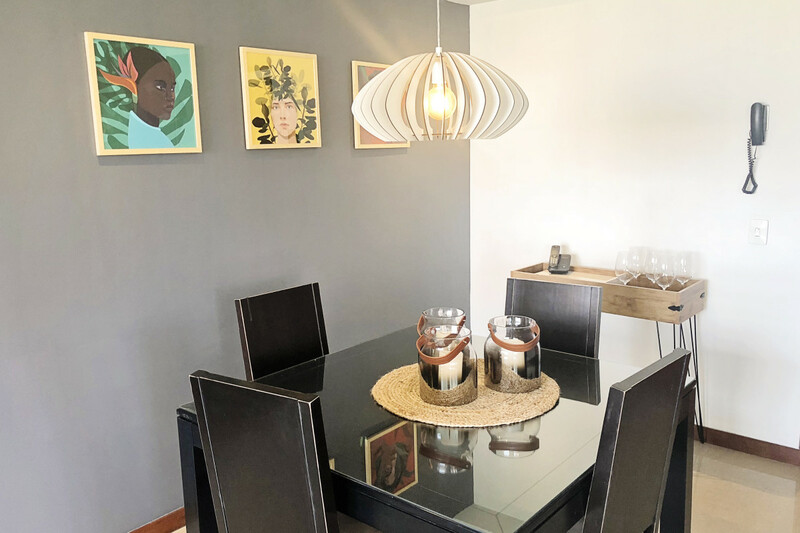 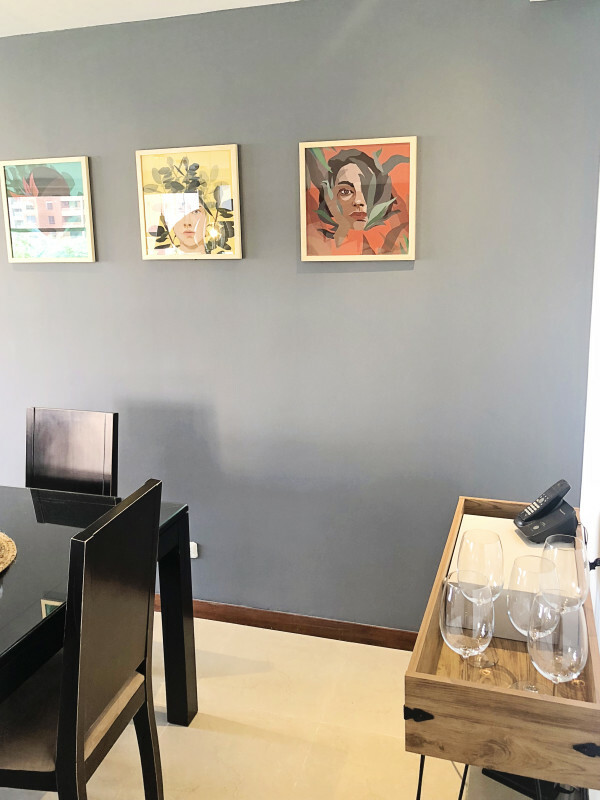 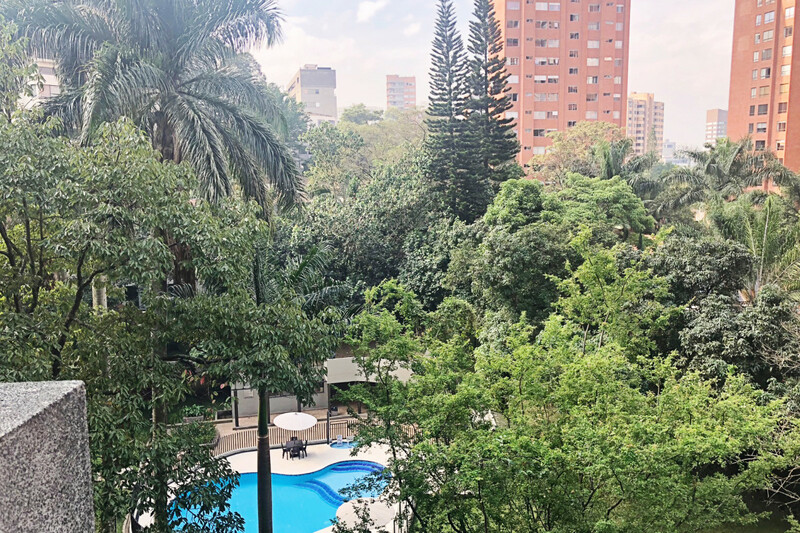 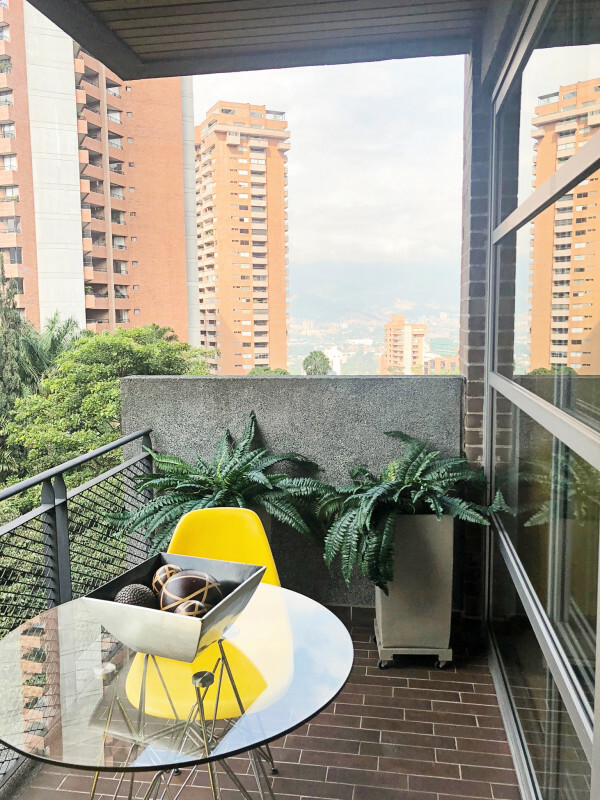 Very well located apartment in the heart of El Poblado, 7min walking distance from the Golden Mile (Avenida El Poblado), 5min from the Lleras Park and Presidenta Park (farmer's market every Sunday! 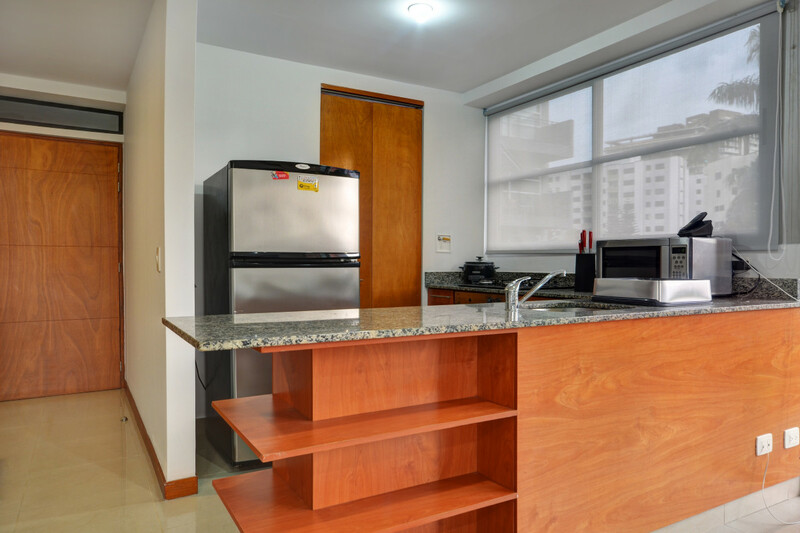 ), 8min from the Poblado Park. 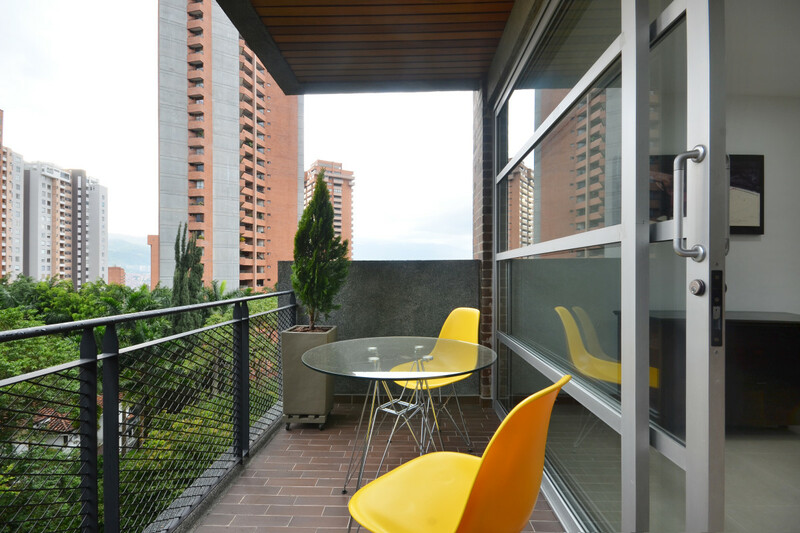 The 2 balconies offer a nice breeze when opened, bringing in the fresh air from all the trees around the building. 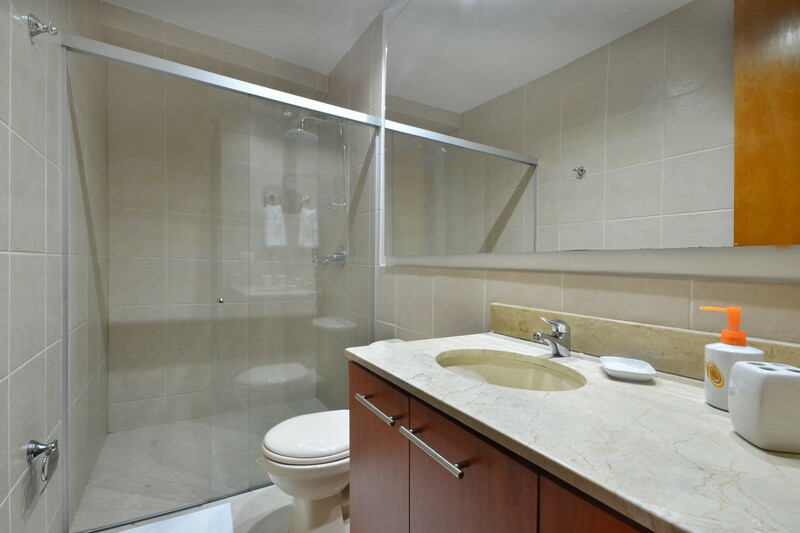 The apartment has just been remodeled: the master bedroom features a double bed, black-out curtains, private bathroom. 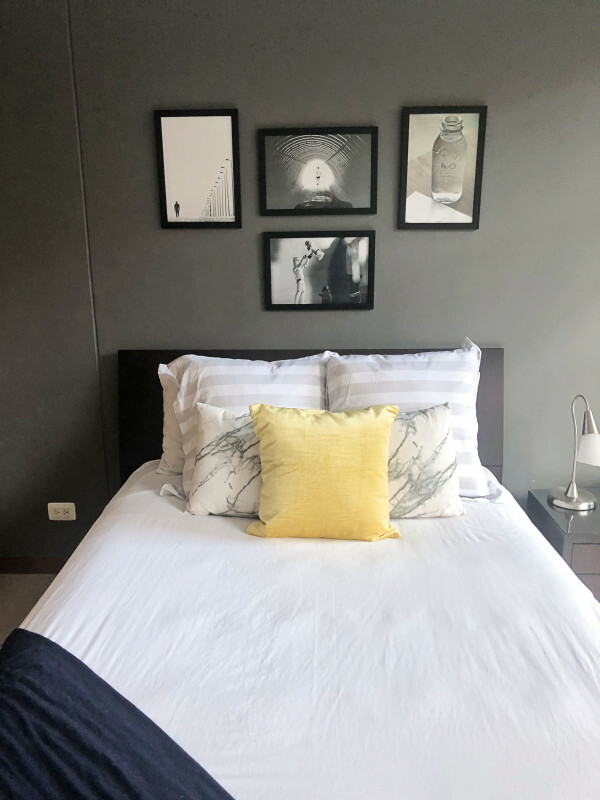 The other bedroom features a double bed, black-out curtains, a desk to comfortably work from home, and a closet. 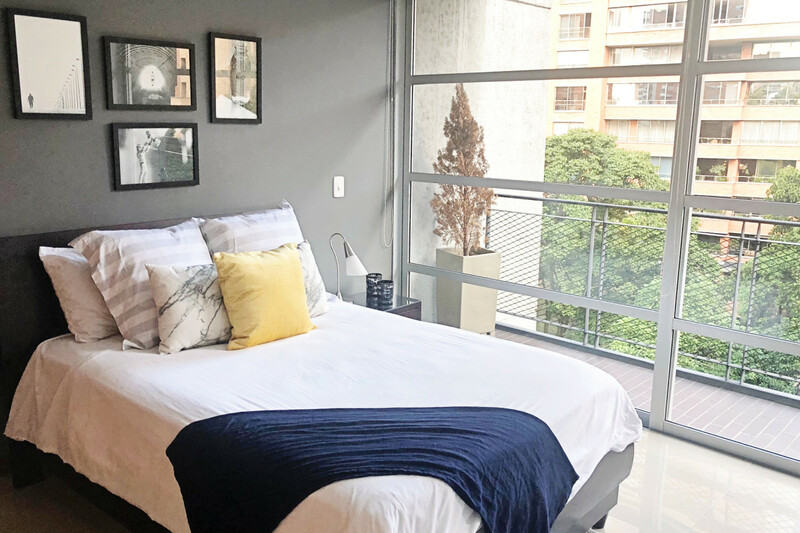 Both bedrooms have access to a balcony. 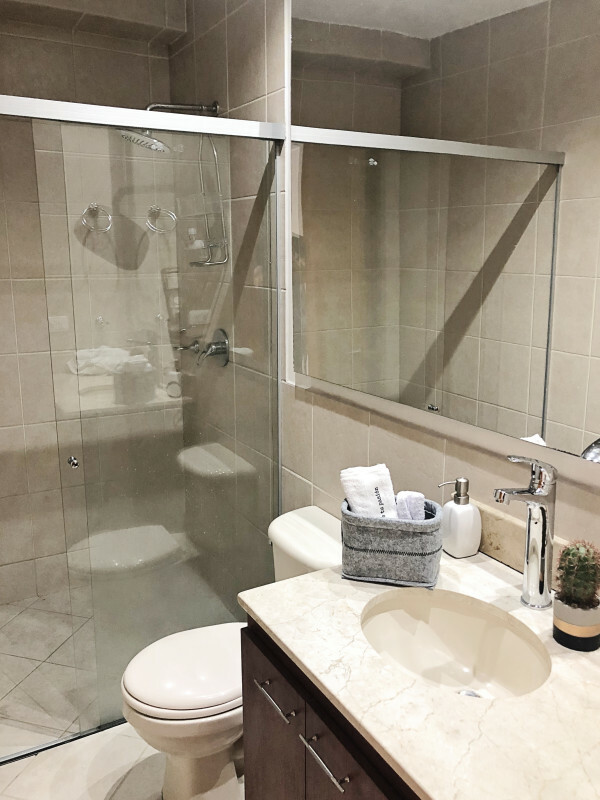 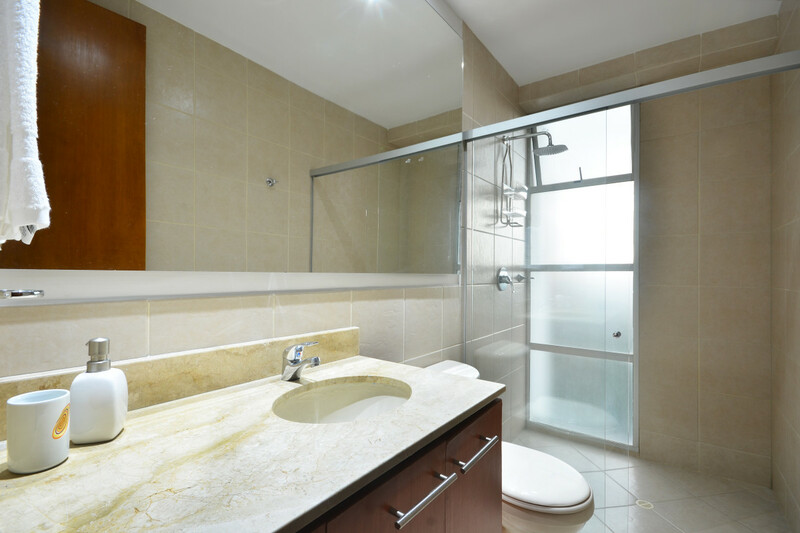 The guest bathroom features a shower. 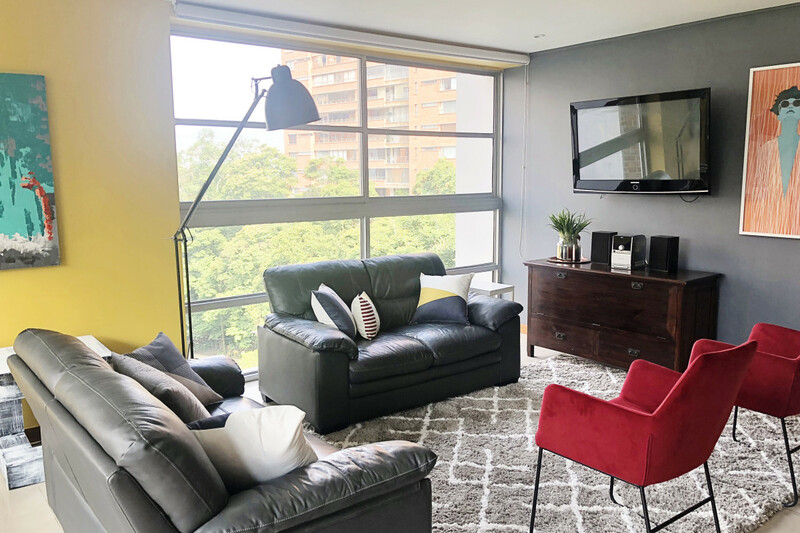 The living room is new, as well as the balcony furniture and all kitchenware and linen. 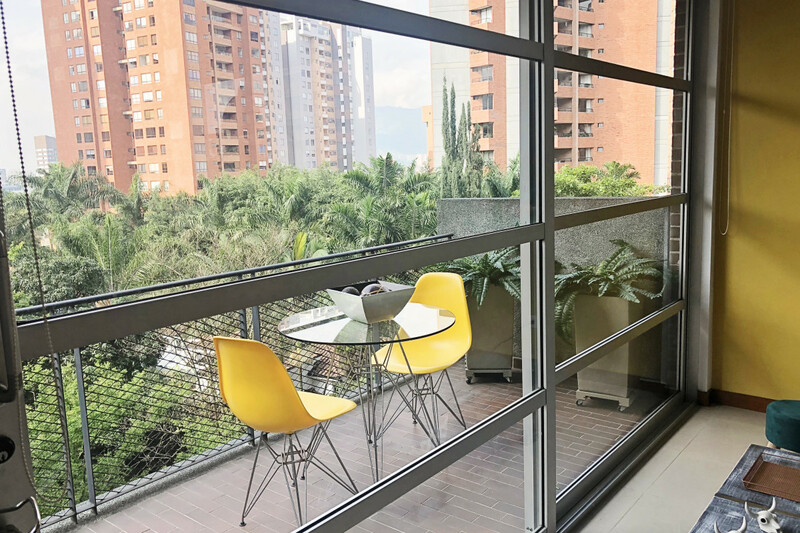 The building is extremely well located in Poblado, 6-8 min walking to the Golden Mile (Avenida El Poblado), where you have everything you need in terms of shopping malls and restaurants (Santa Fe, Oviedo, Rio Sur, La Strada), banks, supermarkets (Carrulla gourmet 24h), best gym in the city (Bodytech).